While I don’t use cornmeal regularly, I have used it in the past for pizza dough, bread and the like. P.A.N. Cornmeal is a staple in Venezuelan homes and now it’s available in the U.S. Corn is native to the Americas, but due to its rich nutrients and versatility, cornmeal is a staple in countries all over the globe. As a P.A.N. cornmeal ambassador, I was asked to create a recipe using the product so I wanted explore the possibilities and use it in a different way than I’m used to. 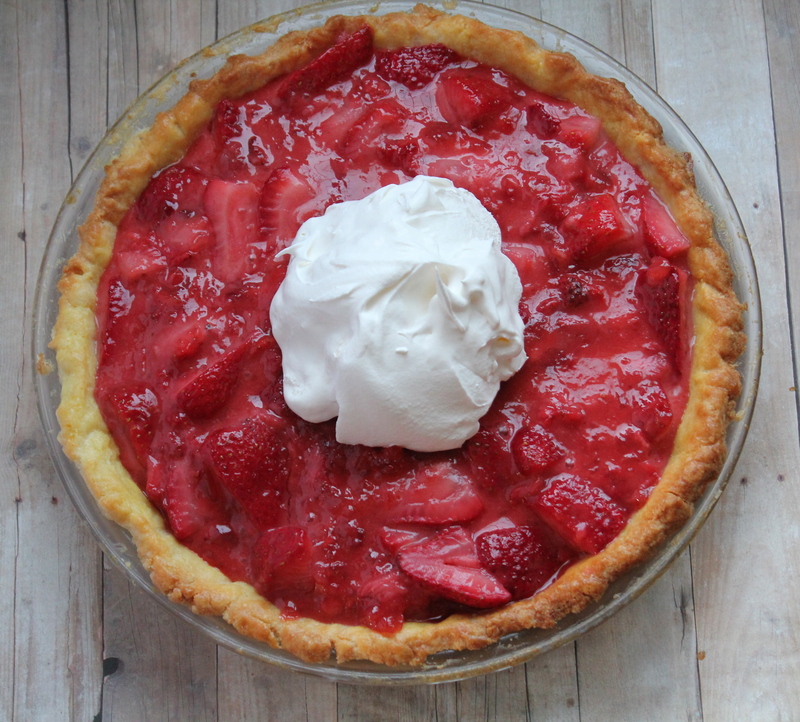 I knew I wanted to make some sort of dessert and I had just bought a few pounds of strawberries that I wanted to use up, so I decided on a Fresh Strawberry Pie. The crust on this pie tastes more like tart crust which is my favorite kind. To make the crust, blend together the ingredients in a food processor if you have one. We don’t, so I used my Vitamix and it worked pretty well. You could also stir by hand if you’re willing to work. The kids had fun helping me with this step. Once you form a dough ball, flatten it slightly and wrap it in plastic wrap. 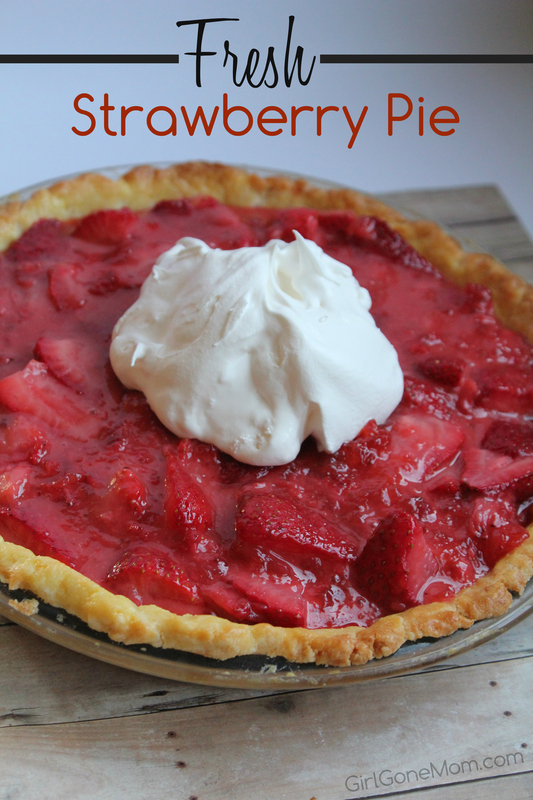 It needs to be refrigerated for about 20 minutes before you transfer to the pie plate. Many people like to roll and crimp their pie crusts but I just work it onto the bottom and sides by hands. Once that’s done, cover the pie with tin foil and press closely before adding pie weights. Or, if you’re like me and you don’t have one, fill the pie with dry beans. I have been using the same bag of beans for a while. Just don’t try to cook them to eat later! Freeze the pie for 10 minutes while you preheat the oven. Bake for 30 minutes and then let cool completely. For the filling, boil together your strawberries and the remaining ingredients. I like to use a potato masher for this part. After the mixture comes to a boil, let cool and then combine with the fresh strawberries. Place mixture onto the cooled pie crust and refrigerate for a few hours. Before serving, top with fresh whipped cream. 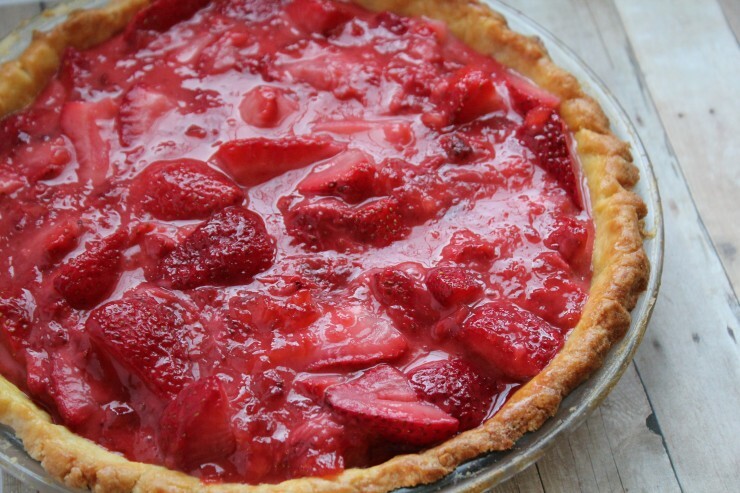 A delicious sweet strawberry pie. 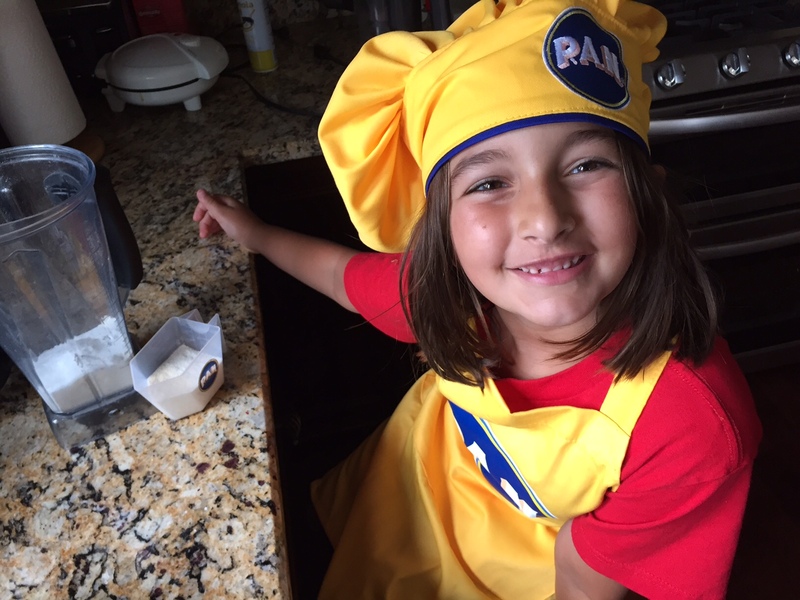 In a food processor, pulse together the flour, cornmeal and sugar and pulse. Add the chopped butter and pulse until the mixture starts to clump together. Finally, add the egg and continue blending until combined. Transfer dough to a sheet of plastic wrap. Form into a disc before wrapping and refrigerate for about 20 minutes. 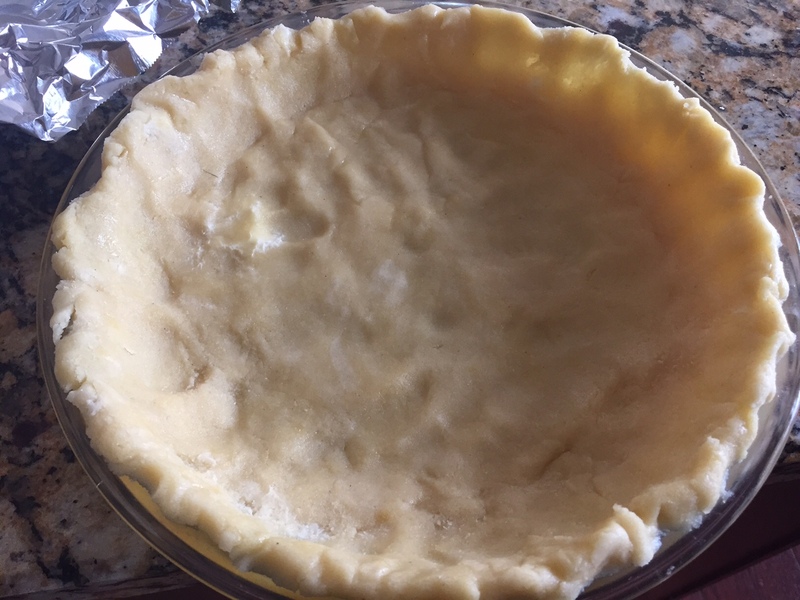 Place the dough into a pie plate and press to evenly cover bottom and sides. Once done, cover top of plate with aluminum foil, pressing to fit the dough closely. 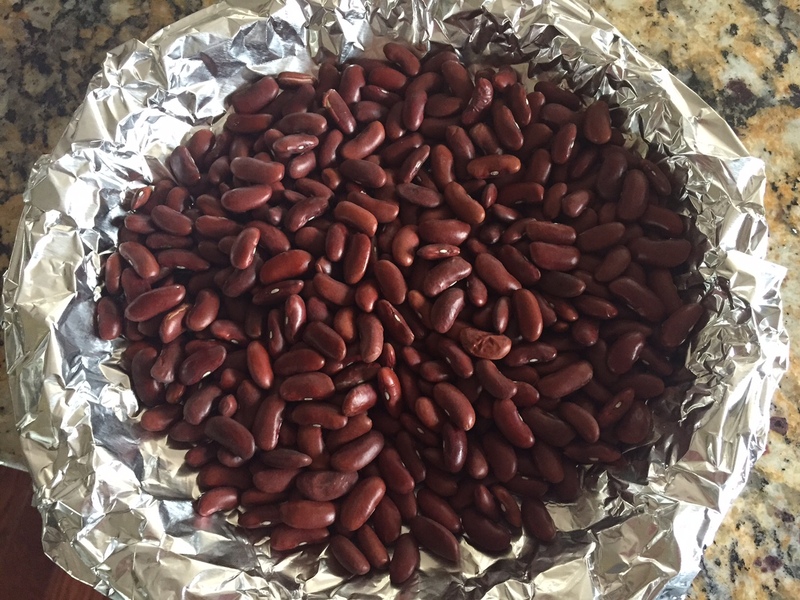 Fill with dried beans and bake in the oven for 30 minutes. Whisk an egg yolk and brush onto crust before returning to the oven for another few minutes. 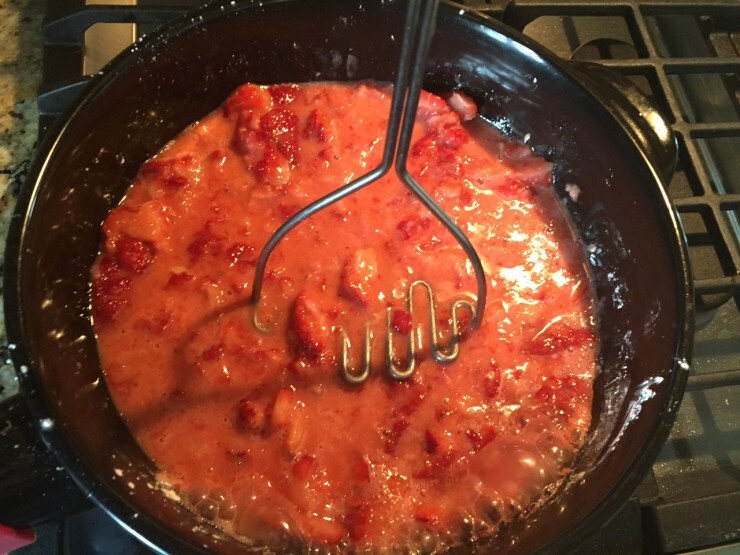 Add 2 cups strawberries to a saucepan and set aside the remaining 2 cups. Top with sugar, cornstarch, salt, vanilla and lemon juice and mash together with a potato masher. Saute until the mixture starts to boil, turn off heat and let cool. Mix crushed strawberry mixture with fresh strawberries. 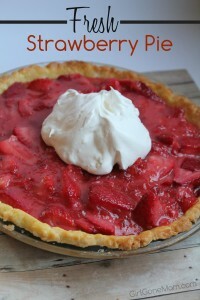 Spread into cooled pie crust and refrigerate for a few hours. This pie looks delicious. Strawberries are some of my favorite fruits.